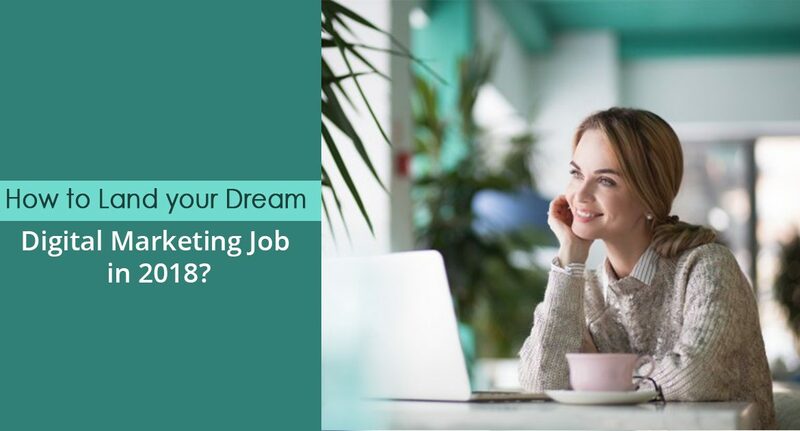 How to Land your Dream Digital Marketing Job in 2018? Thanks Pushpender for sharing these stats about digital marketing. Your inputs further validate job opportunities in digital marketing industry. would be very interested to Know the impact on Indian Pharmaceutical Market ? The challenge remains in Ethical Pharmaceutical Marketing ? What do you mean by ethical pharmaceutical marketing? Can u name some of Mnc’s in India hiring for digital marketing or social media marketing jobs? According to the Economic Times, it has come across that digital marketing will generate 1.5 lakhs jobs in 2016. Some MNC’s in India hiring for Digital Marketing Jobs in 2016 are Accenture’s, Cognizant, HCL, Amazon, Flipkart, E&Y, Dabur & much more. In these MNC’s you can apply different positions related to digital marketing which includes SEO, Google Adwords, Email Marketing. Since it’s the best time to start your career in digital marketing for your career growth. Really informative.How much salary can i get if joined as a fresher? A Digital Marketing professional earns between Rs 15,000 and Rs 250,000 per month. Some popular job profiles in digital marketing are Digital Marketing Executive, Digital Marketing Head, SEO, PPC, Affiliate Marketing, Content Marketing Web Analytics. Apart from job you can also start earning as a Freelancer where you can provide your digital marketing services & start earning. Some Freelance websites offering digital marketing jobs are Upwork, Freelance, Elance & much more. Can I get a digital marketing job without any experience? Ankit: Sure. You can begin a rewarding career in digital marketing with digital marketing executive as your 1st job after you have acquired relevant skills. Do join me in our upcoming Digital Marketing for Career & Business orientation session by signing up at http://www.digitalvidya.com/dmo. As a student of digital marketing, should I choose a career in digital marketing SEO or PPC management? Digital Marketing is such a wide domain that it entails a lot of aspects and topics to be covered. Moreover, digital marketing is a fast evolving domain with changes happening almost on a daily basis. Search Marketing (both SEO & SEM/PPC) is one of the oldest and still one of the most relevant aspects of Digital Marketing. However, at this stage of the industry, you should be thinking of having a broader exposure before you decide to choose career in digital marketing SEO or PPC management. As shared by others as well, fields such as Social Media Marketing, Mobile Marketing, Inbound Marketing etc are very important for anyone who’s looking at building a rewarding career in Digital Marketing industry. Which is best certification Digital marketing or Data Science to get high earning job? I would be talking about my field of expertise which is Digital Marketing. Digital Marketing is the latest marketing technique where you can promote your brand or services using digital devices. I would really prefer you to learn the trends about Digital Marketing without going to universities and rather do internship in Digital Marketing firm and gain experience and learn other trends through digital marketing institutes. What bachelor degree is closer to digital marketing job? No particular degree is required for digital marketing. Any degree is Ok to apply for digital marketing jobs. No programming skills is required. However, if you are MBA in marketing you can apply for digital marketing jobs even without experience. Also, anybody with computer or internet basic skills can do digital marketing gigs by the side to earn extra cash. Opportunities are unlimited in this field. As a fresher, how should I search for a job in the field of digital marketing?